FREE Biore UV Aqua Rich Watery Essence 15g sample! 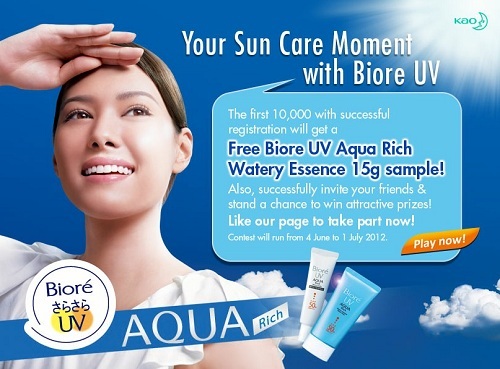 The first 10,000 with successful registration will get a FREE Biore UV Aqua Rich Watery Essence 15g sample! Also, successfully invite your friends & stand a chance to win attractive prizes!